Your Energy Solution Anytime, Anywhere. A battery backup will power your home during blackouts caused by severe weather, or during grid outages due to increasing demands on our aging infrastructure. UPS(Uninterruptible Power System)。In the case of grid abnormalities (such as power outages, interference or surge), equipment that provides backup AC power to electrical load equipment and maintains the normal operation of electrical appliances is continuously provided. 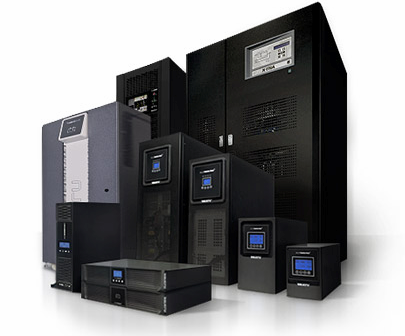 Under normal circumstances, the UPS system is used to maintain the uninterrupted operation of key commercial equipment or precision instruments such as computers or switches, to prevent the loss of computer data, to prevent the interruption of the telephone communication network or the loss of control of the instrument. What is the difference between an On-Line UPS and a Standby UPS? The way a standby UPS works is by monitoring the power that's coming into the battery backup supply and not switching over to the battery until it detects a problem (which can take up to 10-12 milliseconds). An on-line UPS, on the other hand, is always providing power to the computer, which means whether a problem is detected or not, the battery is always the computer's source of power. You can think of an on-line UPS as if it were a battery in a laptop. While a laptop is plugged into a wall outlet, it's getting constant power through the battery which is getting a constant supply of power through the wall. If the wall power is removed (like during a power outage), the laptop is able to remain powered on because of the built-in battery. 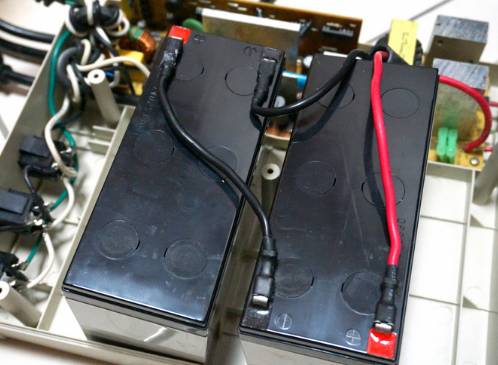 The most obvious real-world difference between the two types of battery backup systems is that, given the battery has enough power, a computer won't shutdown from a power outage if it's plugged into an on-line UPS, but it might lose power (even if just for a few seconds) if it's attached to a standby UPS that didn't respond to the outage quick enough... although newer systems can detect a power issue as soon as 2ms. Given the benefit just described, an on-line UPS is normally more expensive than a line-interactive UPS. 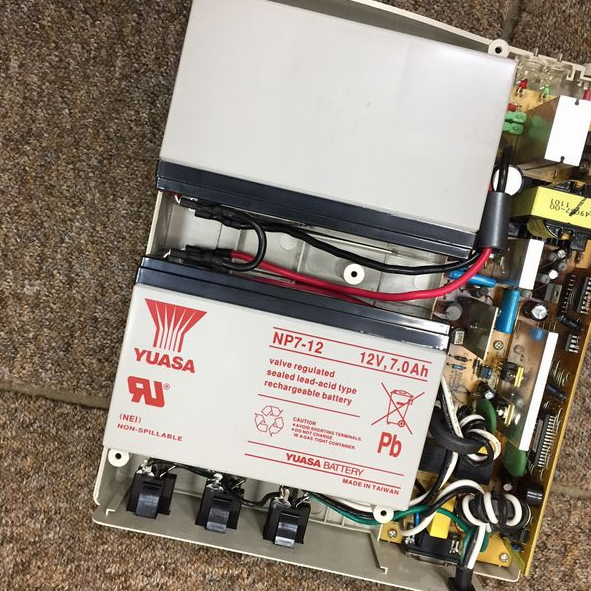 How to replace the UPS battery? What needs attention? Make sure the UPS machine power is turned off. Make sure the AC input power is cut off. Remove the negative wires of the battery, then remove the positive wires. Replace the new battery, first install the battery positive side, then install the negative. What is VRLA battery ? The following is a discussion on some general guidelines and considerations when deciding whether to purchase a Gel or AGM VRLA Battery! Valve Regulated Lead-Acid (VRLA) batteries come in one of two technology types: Gel (also known as “starved electrolyte”) or Absorbed Glass Mat (AGM) (also known as “absorbed electrolyte”). The cycle life of the battery is dependent on the manufacturer and battery model. 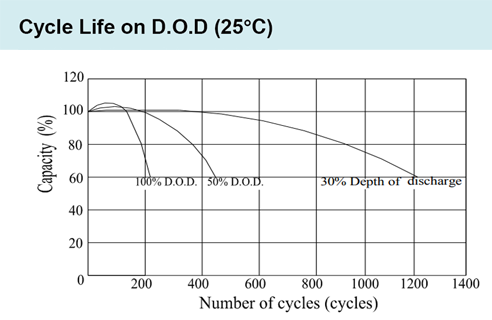 Most AGM batteries have a cycle life of approximately 400-500 cycles to 50% Depth of Discharge (DOD), but GEL batteries cycle life is more than AGM batteries, Gel battery has a cycle life of approximately 600-800 cycles to 50% Depth of Discharge (DOD), the relative price is relatively high. Most manufacturers agree that AGM batteries operate better in colder climates. 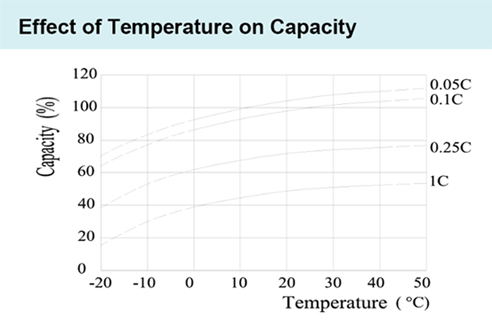 While it is true that many AGM batteries are able to deliver a higher percentage of rated capacity at lower temperature, Gel batteries are quite capable at lower temperature and many are rated to operate at temperatures as low as (-50°C). Therefore, what’s important is to size the battery appropriately so it can deliver the required amount of energy while operating at lower temperature and to ensure the electrolyte does not freeze. AGM batteries allow higher discharge rates than Gel batteries. AGM battery is characterized by fast charge fast large current discharge, which is better than Gel performance. AGM and Gel batteries are competitively priced for a given Amp-hour capacity and cycle life specification. The largest factor influencing the battery price is the life cycle rating of the battery. 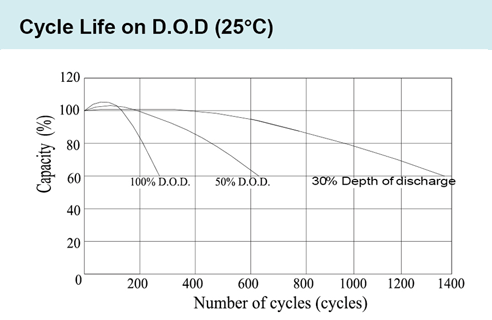 For example, Gel batteries rated for 600-800 cycles at 50% DOD will be higher priced than AGM batteries rated for 400-500 cycles at 50% DOD. AGM or Gel ? which one is better for UPS battery ? 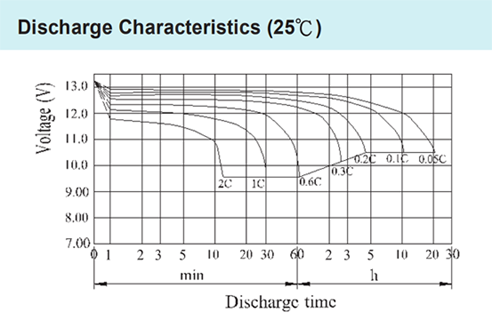 Given the electrical load and the charging sources, if the battery is sized suitably to deliver the expected design life in consideration of the application operating temperature range, then either Gel or AGM batteries will provide excellent performance. If the application is intended to be in service only a few years, then it may be suitable to select a AGM battery with a lower cycle life rating and to design for higher depth of discharge. © 2017 LIGHTEN WORLD INDUSTRY Co.,Ltd.